Our membership is constantly growing, and we always welcome new members as we build a network of fans and friends in the DC-Metro area. 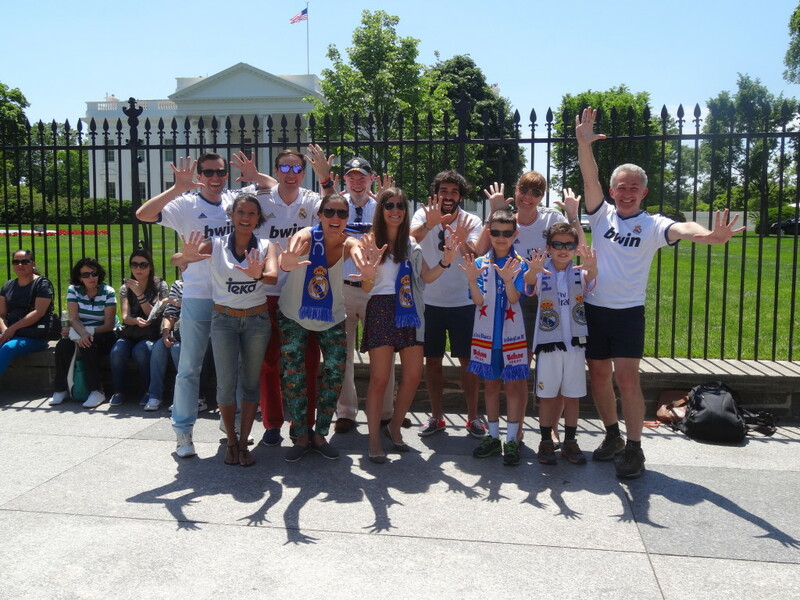 We continue to meet for every Real Madrid game at our headquarter: Elephant & Castle: Penn Ave, located in the heart of downtown Washington DC. All are welcome to our watch parties, so whether you are a DC/VA/MD-resident or just passing through the city, please do join us to show your support and watch games with fellow Madridistas! We also organize other social events related to football and our team. Furthermore, our venture is also supported by Mahou, an official sponsor of Real Madrid CF, and also our Peña’s much-appreciated partner. Washington DC, as the USA capital, boasts the crossroads of peoples and culture. Our Peña is a reflection of the international nature of DC as we have members from Spain, Colombia, India, Egypt, Mexico, El Salvador and of course the USA. Washington DC also offers us opportunities to truly be a representation of the Club and contribute to society. A big part of Peña’s mission is to also embrace this value of Real Madrid, as we engage in philanthropic efforts through various community service events and supporting local charitable organizations.